View the entire table of contents for the Jan. 31 - Feb. 29, 2004 issue. Winemakers are often at a loss to explain why Petite Sirah, with its devout, cultlike following, isn't more popular with the general public. Still, this dense, hearty, muscular, inky-black red wine is enjoying an unprecedented surge in admiration among those who know it best, thanks to a run of great vintages and vastly improved winemaking. 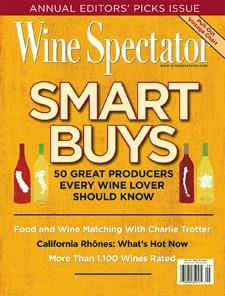 For the full article, check out the new issue of Wine Spectator, on newsstands January 31, 2004.